For clearance and tolerance definitions two tables have to be used. 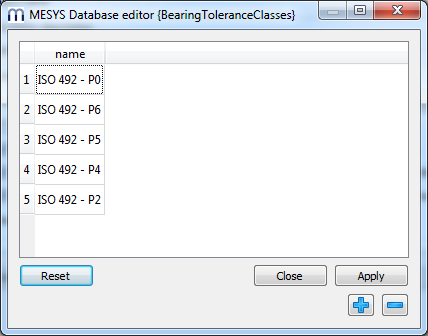 In table ‘BearingClearanceClasses’ or ‘BearingToleranceClasses’ the available names are defined. 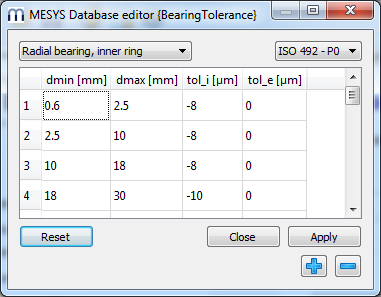 In table ‘BearingClearance’ and ‘BearingTolerance’ then the actual values are defined dependent on the diameter.